Zinnias are a beautiful and easy flower to grow from seed. I save the dried seed head from the previous season and let the kids crumble it apart to find the seeds. They plant half the seeds in the community garden and the other half they take home to plant. You may want to have a few store bought packs on hand, just in case. 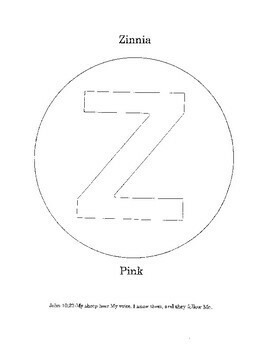 This lesson has a letter and coloring page.